AITR | What Does AITR Mean? 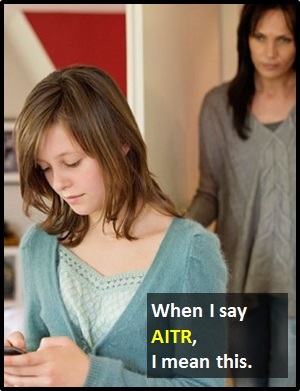 AITR means "Adult In the Room". The image shows a girl notifying someone that there is an adult in the room (AITR).